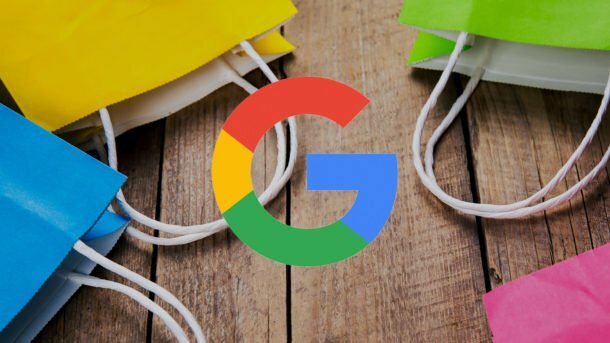 Google is beefing up its mobile shopping experience to prepare for the holidays, now showing buying guides for broad categories like “sewing machine” and “coffee grinder” searches and adding more product-related information for specific product searches. “When you search for a specific product, Google.com now shows you other helpful information, like related items, and allows you to compare reviews, prices and other specs, side by side,” writes Google product management director for Google Shopping, Jennifer Liu on Google’s The Keyword blog. Google says it has added a “newer model available” label to tech-gadget product listings so searchers know if they’re browsing the most recent version of tech products. According to the announcement, Google’s recently redesigned mobile shopping experience has helped bring more product information to the forefront with features like a “Quick View” button in Google Shopping ads that lets users preview detailed product information. Google also noted its recent knowledge panel updates that quickly surface product photos, videos, reviews and descriptions for product-related searches. apparel brands like Vans, Canada Goose, and Nike Air Jordan Retro 11.
celebrity-endorsed products like Kevin Durant’s Nike KD 10, Pharrell x Adidas and Rihanna’s Fenty Beauty makeup line. gamer gifts like Razer phones, Nintendo Switch and Call of Duty WW2. On the Google Home device, Google says voice searches are trending toward everyday essentials such as paper towels or pet food — things people are likely to add to their grocery lists. Google expanded on its trends data on the Think with Google blog, confirming that Black Friday-related searches have increased by 80 percent over the past two years. “Mobile watch time of Black Friday haul videos grew by over 120 percent since 2014,” writes Google’s head of shopping ads, Emily Eberhard. Google says it begins seeing “generic, non-branded” searches outpacing branded queries attached to Black Friday-related searches early in November. Approximately 2 1/2 weeks out from the Black Friday-Cyber Monday four-day shopping weekend, searches switch to more brand-specific searches. “There is a switch to searches for Black Friday becoming mostly branded (e.g., “ashley furniture black friday” and “sephora black friday 2016″) as shoppers narrow down their options and begin laser-focusing their research on the specific items they want to buy,” writes Eberhard. Google’s data showed that online conversions remain steady throughout November, with spikes on both Black Friday and Cyber Monday. Google says it sees mobile transaction rates increase 40 percent during the Thanksgiving weekend compared to the rest of the year. “It’s a sign that mobile researchers [people researching product purchases on their phone] are likely to become mobile buyers over the four-day holiday break,” writes Eberhard.